The Carlsbad Historical Society is deeply committed to providing educational opportunities to the community and especially to our school children. Collaboration between our organization and our community is an important goal. We offer two educational history programs especially designed for third and fourth grade students by a retired 40 year veteran educator. School Tours– Bring your class to visit one of the oldest buildings in Carlsbad. 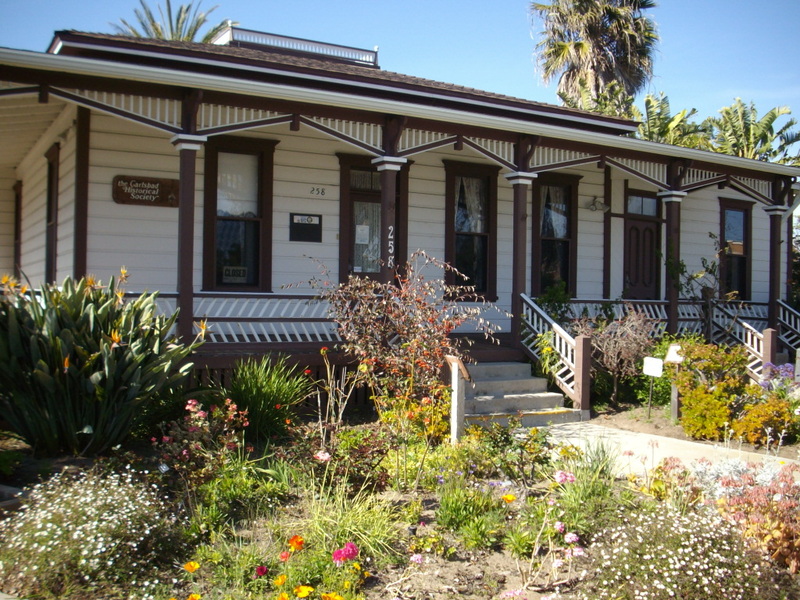 The Carlsbad Historical Society Museum is housed in the former Smith Shipley Magee House. A visit to this site built in 1886 by Samuel Church Smith will allow young minds the opportunity to visit the past. Docents will be available to add insight to the sights and sounds of Carlsbad’s Past. Educators are encouraged to contact our organization to schedule a School Tour to our museum at Magee House and also to organize a Historic presentation at your school. Those interested in School Tours or Historic Presentations should contact us at 760-434-9189 or email at cbadhistory@yahoo.com. School Tours at Magee House will preferably be scheduled on Fridays from 10-4, throughout the school year.